When it comes to rolling out summer incentives, few are doing it with as much style as Vivid. This Pemberton Group community is offering a Special Summer Bonus Offer for their 1 bedroom plus media suites under $300,000. This offer will mean savings of $5,000 off the purchase price, and purchasers receiving $5,000 in free upgrades, and 1 year of free maintenance. Sounds like quite the incentive, but what else is Pemberton Group good at beyond coming up with great sales promotions? As the final building within Pemberton’s master-planned Port Royal community, Vivid has a lot to boast about. The community is ideal for condo hunters looking to live removed from downtown Toronto’s hustle and bustle, yet close to many local conveniences. 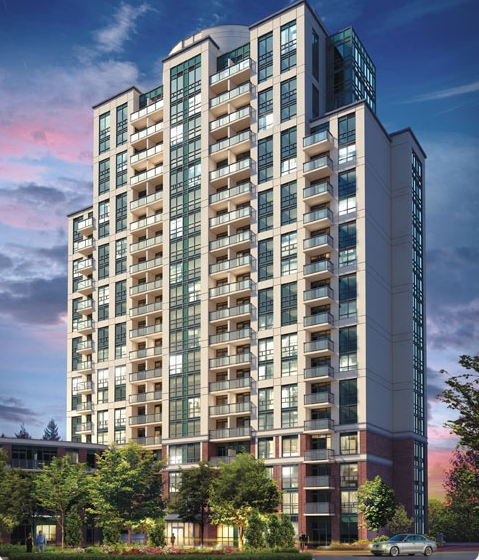 In the Bloor-Islington area, residents have access to excellent shopping and services and transit options, as the neighbourhood is widely viewed as one of the most commuter-friendly in the city. With Highway 427 only a short ride away and the Islington subway station a quick stroll west, Vivid is located in a transit hub. The community also has top-notch existing amenities, including an indoor pool, gym, and lounge complete with a bar, servery and catering kitchen. We’ll have more buzz on Vivid soon, but in the meantime swing by the sales centre at 9 Michael Power Place to get the full story on their limited-time incentive. For more info call 416 239 8200 or email info@pembertongroup.com. Visit the website by clicking here.